There’s a new film coming out shortly called Victoria & Abdul. It is the true story of the friendship between Queen Victoria and a young clerk from India, who had arrived in England to participate in the Queen’s Golden Jubilee. At one point in the trailer for the film (from 1m 49s), Queen Victoria delivers a strong rebuke to her advisers. During this scene an attractive square piano can be clearly seen (here) positioned directly behind her. I haven’t seen the film, as yet, so I don’t know if the piano is actually played at any point, but it is an extremely striking instrument. I therefore thought a short item about this piano and its history might be of interest. 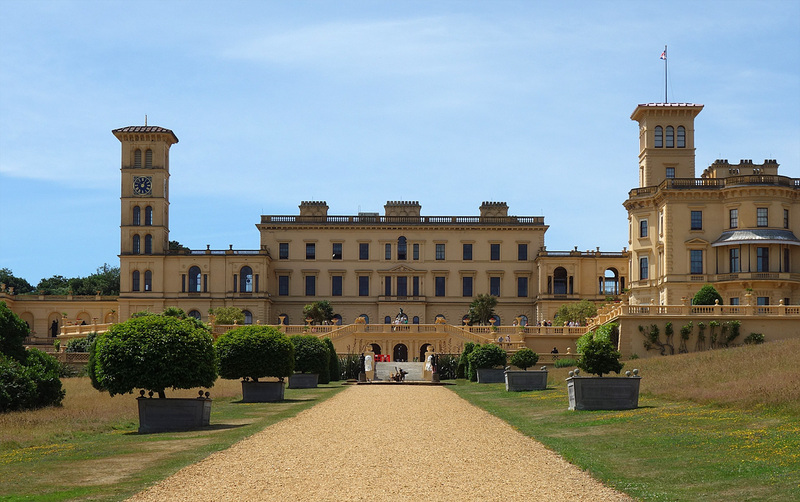 The scene in question, highlighted in the trailer, was filmed at Osborne House, on the Isle of Wight’s north shores, overlooking The Solent. For many years this was the much loved rural retreat for Queen Victoria and Prince Albert. The Isle of Wight is located just off the south coast of England—about 80 miles south of London. Jean-Henri Pape manufactured this square piano in 1839. 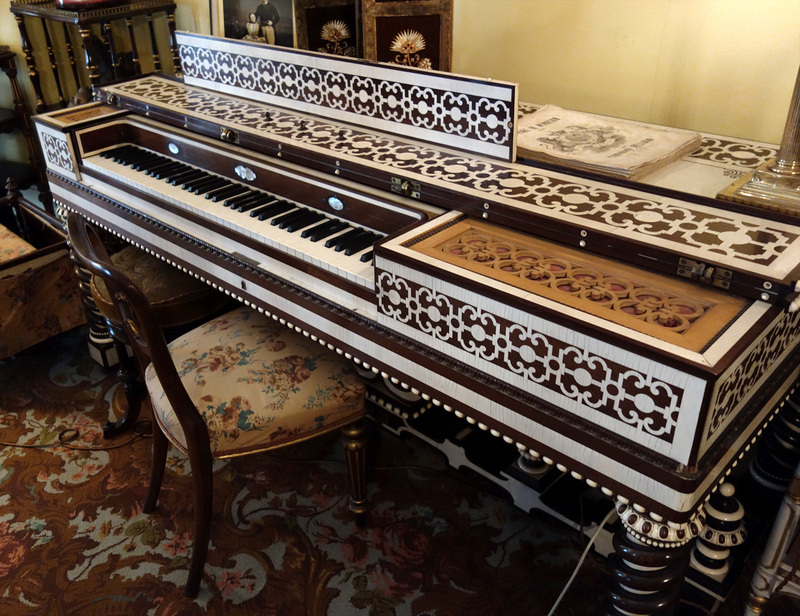 It has a walnut case inlaid with ivory strapwork. The legs are spirally turned, and also feature ivory inlays inside the twist. Pape was possibly the most inventive of the 19th century piano makers. He constantly came up with new ideas in manufacture and design, and liked to make instruments that doubled as pieces of furniture. At one point his piano factory was the largest in Paris. Carl Bechstein was a student of Pape’s. Yet despite his status Pape died in poverty in 1842. Queen Victoria purchased the piano in November 1848, and to this day it remains located on the house’s first floor, in the Queen’s sitting room. The aforementioned scene was actually filmed in this room. The instrument belongs to the Royal Collection Trust, which is part of the Royal Household. There is also a beautiful 1849 (Pierre) Erard grand piano on display at Osborne House. Prince Albert himself designed this instrument’s highly decorated case. 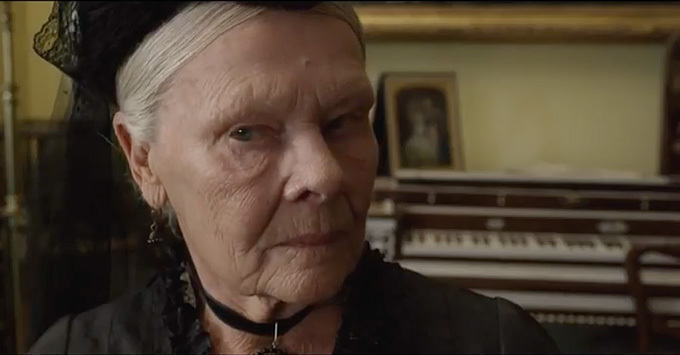 Victoria & Abdul opens in cinemas 15 September 2017 (UK), and 22 September (USA) .